One of the best parts of being a dog owner is taking your dog outside. 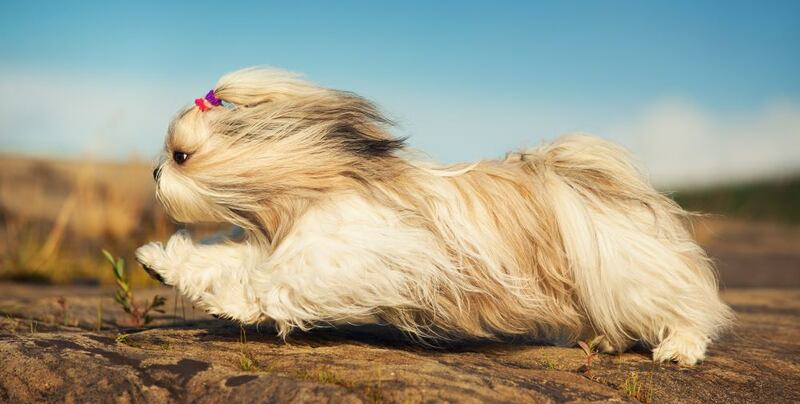 Dogs love going for a walk or a run and playing in open spaces. 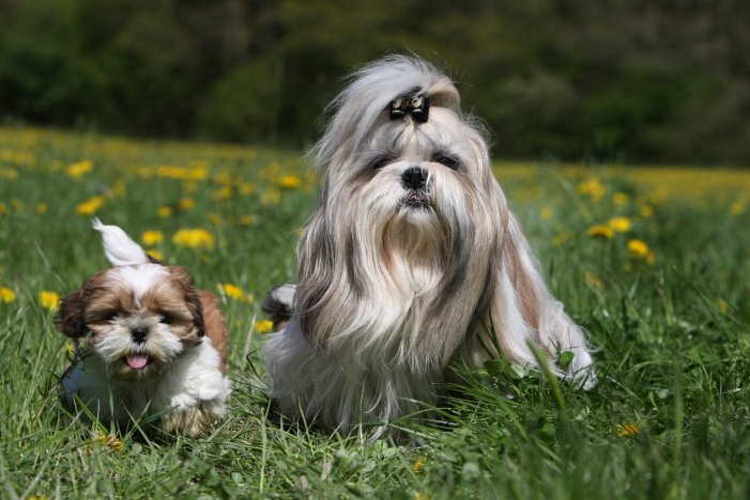 But -- especially as the summer approaches -- taking your dogs outdoors means increasing their exposure to ticks, and unfortunately increases the risk of Lyme disease in dogs. Ticks are parasitic insects that latch onto a host and feed off the host’s blood. These little creatures like to live in tall grass and shady shrubs. We know that ticks love to latch onto humans when they can, but ticks love other creatures too, especially dogs. Dogs walk at a lower level than humans and closer to the tall grass. Plus, they love to stick their snouts in shrubs and grass to pick up new scents. These new scents might be nice, but the tick bite your dog could receive is not so nice. Tick are notorious for carrying Lyme disease. All dog owners should be aware of Lyme disease, its symptoms, how it is treated, and how it is prevented. If you are a dog owner who wants to learn more about Lyme disease in dogs, then the following information is important for you to know. Lyme disease is caused by a bacteria called Borrelia burgdorferi (have fun pronouncing that). It can cause joint pain, fevers, depression, and, when left untreated, it can become life-threatening by causing kidney failure. Fortunately, Lyme disease is treatable with antibiotics. It is best to catch the disease early-on to avoid the development of kidney problems. But, this is easier for humans since we can vocalize and identify that we have a tick bite or Lyme disease-related symptoms. Dogs are not as effective at letting us know there is a problem! Examine your dog regularly for ticks, and ask for a tick screening from your dog’s vet when you take your dog for a check-up. How does Lyme disease affect dogs? You may know that the tell tale sign of Lyme disease is the distinct bullseye rash. But with dogs, that bullseye won't be so obvious to see since their skin is covered with hair. But there are other ways to tell if you dog may have been infected. When infected with Lyme disease, dogs usually develop joint pain and experience difficulty moving around because the disease causes inflammation in the joints. You may notice that this discomfort lasts for days or is sporadic in its intensity. Inflamed joints can also become swollen and feel hot. As with humans, dogs with Lyme disease are at risk of kidney failure. Identifying the disease’s symptoms and seeking treatment can help prevent this from happening. If your dog has been bitten by a tick, it may take up to 48 hours to see signs of Lyme disease. Keep in mind, you do not need to bring your dog to a veterinarian every time he gets bit by a tick. You can remove the tick yourself with some sharp-nose tweezers or a tick removal tool. I found using a tick key had better results in getting the complete tick removed than with the tool that looks like a spoon. Although if the tick was attached in the area of my to my dog eyes and nose, the key was a little to awkward to use due to this compacted area and I resorted in using tweezers or hemostate forceps which I've seen my Vet use. The stiffness of joints and arching of the back. Sensitive skin. Your dog may whimper more when scratching himself or may recoil when you try to pet him. Loss of appetite. See if your dog’s bowl remains at the same level throughout the day. Fever. A dog’s body temperature normally runs between 99.5 and 102.5 degrees Fahrenheit. If you cannot check his temperature with a thermometer, look for signs, such as red eyes, a warm and dry nose, and warm ears. Difficulty breathing. You may notice irregular breathing behavior, such as shorter, choppier breaths. Depression. Dog depression is similar to human depression. Your dog may become withdrawn and change sleeping patterns. Sporadic howling and whining are also common in depressed dogs. Sluggish behavior. No doubt due to the symptoms we just mentioned, your dog will also lose his desire to move around or perform any of his normal activities. If you notice any of these symptoms, your dog may have Lyme disease. The next step is to get your dog to his veterinarian for diagnosis and treatment. If your dog is in the early stages of Lyme disease, his veterinarian may prescribe antibiotics for you to take and administer at home. Most of the time, you will see results within a day or two. This treatment is usually complete after four weeks. Your dog’s vet may also prescribe pain relievers if the inflammation and joint pain are severe. If Lyme disease has begun affecting your dog’s kidneys, the vet may require your dog to undergo inpatient treatment in the veterinary clinic. Lyme disease would be much scarier if we did not have any tools to prevent it. You can help your dog lower his risk of developing Lyme disease by helping him repel ticks. Many insect repellent sprays, collars, and ointments are available to help your dog fight off ticks. Vaccinations are also available to help your dog prevent Lyme disease, but some skeptics claim these could make the symptoms of Lyme disease worse. For safe recommendations on tick and Lyme disease prevention, you should consult your dog’s veterinarian. Your four-legged pal will be glad you did! Why does my dogs eat grass?